Apple 13.3″ MacBook Pro dual-core Intel Core i7 2.7GHz, 4GB RAM, 500GB Hard Drive (MC724LL/A) is NOW $1,199.99 (was $1,499.00) after Instant Rebate.13.3″ MacBook Pro dual-core Intel Core i7 2.7GHz, 4GB DDR3, 500GB SATA Hard Drive, Intel HD Graphics 3000, SuperDrive, Thunderbolt port, Gigabit Ethernet, FaceTime HD camera, SDXC card slot.$160 Instant Rebate ends 04/26 or until supplies last. Link directly to the Product Page by copying the link format below and replace “INSERT_PID_HERE” with your CJ Website Publisher ID. Or get the CJ Link here. Apple 15.4″ MacBook Pro quad-core Intel Core i7 2.2GHz, 4GB RAM, 750GB Hard Drive (MC723LL/A) is now $1,699.99(was $2,199.00) after Instant Rebate.15.4″ MacBook Pro quad-core Intel Core i7 2.2GHz, 4GB DDR3, 750GB SATA HDD, Intel HD Graphics 3000 and AMD Radeon HD 6750M, SuperDrive, Thunderbolt port, Gigbit Ethernet, FaceTime HD camera, SDXC card slot, Aluminum unibody.$132 Instant Rebate ends 04/26 or until supplies last. 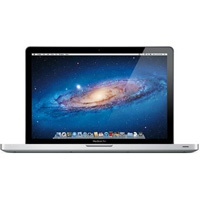 Apple 17″ MacBook Pro quad-core Intel Core i7 2.2GHz, 4GB RAM, 750GB Hard Drive (MC725LL/A) is NOW $1,879.99 (was $2,499.00) after Instant Rebate.17″ MacBook Pro quad-core Intel Core i7 2.2GHz, 4GB DDR3, 750GB SATA HDD, Intel HD Graphics 3000 and AMD Radeon HD 6750M, SuperDrive, Thunderbolt port, Gigbit Ethernet, FaceTime HD camera, SDXC card slot, Aluminum unibody.$307 Instant Rebate ends 04/26 or until supplies last. 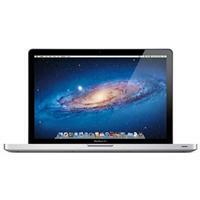 Apple 17″ MacBook Pro quad-core Intel Core i7 2.3GHz, 4GB RAM, 750GB 5400-rpm Hard Drive (MD036LL/A) is now available for $2,099.99(was $2,649.00) after Instant Rebate.17″ MacBook Pro quad-core Intel Core i7 2.3GHz, 4GB DDR3, 750GB 5400-rpm HD, Intel HD Graphics 3000 & AMD Radeon HD 6750M, SuperDrive, Thunderbolt port, Gigabit Ethernet, FaceTime HD camera, Aluminum unibody .$107 Instant Rebate ends 04/26 or until supplies last. Next story Free 2 Day Shipping Sale – Extended!